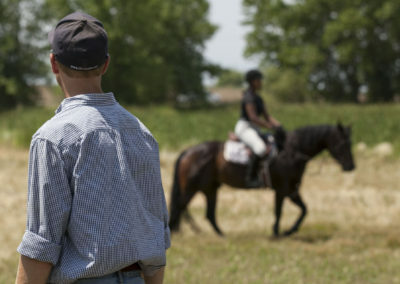 Weekly riding lessons are a great way to get started with a new horse riding adventure, become comfortable again in the saddle with our riding instruction services after a long leave from horses or progress to being an advanced horse rider and/or competitor. 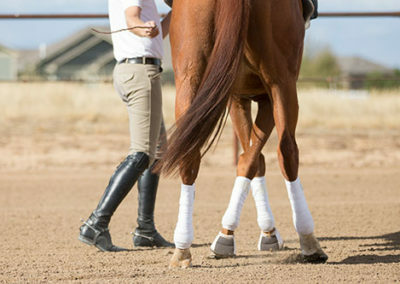 For the more seasoned equestrian rider, weekly lessons are beneficial to prevent habits from developing and ensure that you stay on a progressive path. Having consistency with your instruction is just as important as being consistent with your horse. Safety for the horse and rider is our first priority. Your lesson will be customized to meet your needs and abilities. 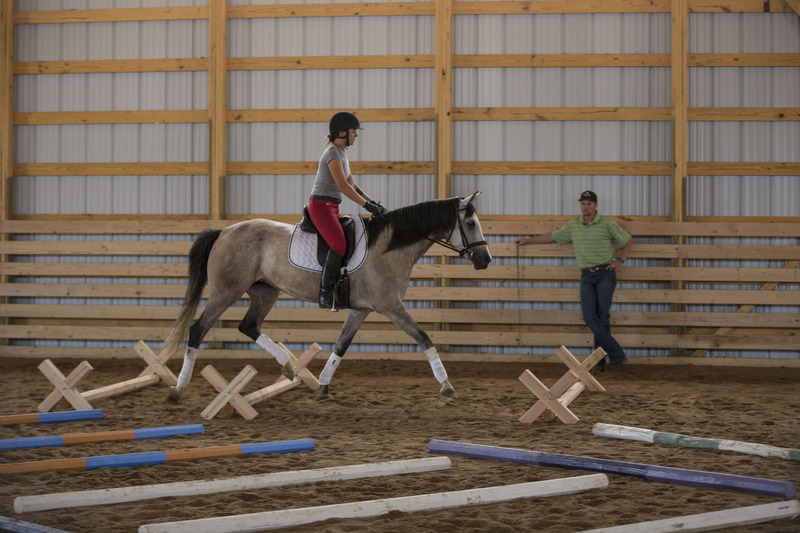 Every riding instruction student learns differently and progresses at their own pace. How fast a student progresses depends on their abilities and frequency of instruction in our lessons. Our peaceful environment and numerous places to ride make our horse facility a great place to learn and get exposure to different things and situations. As a student progresses, through our instruction program, their riding lessons become more challenging both physically and mentally. We do not just teach students how to do maneuvers, but also why we do maneuvers in a certain way. This gives more knowledge to the rider and prevents any confusion or hesitation when they are riding. 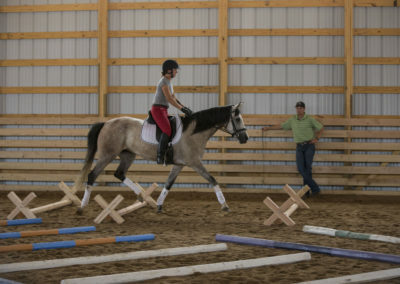 Private and semi-private riding lessons are 45 minutes and group lessons are one hour. There is a discount if you purchase lessons in a package. 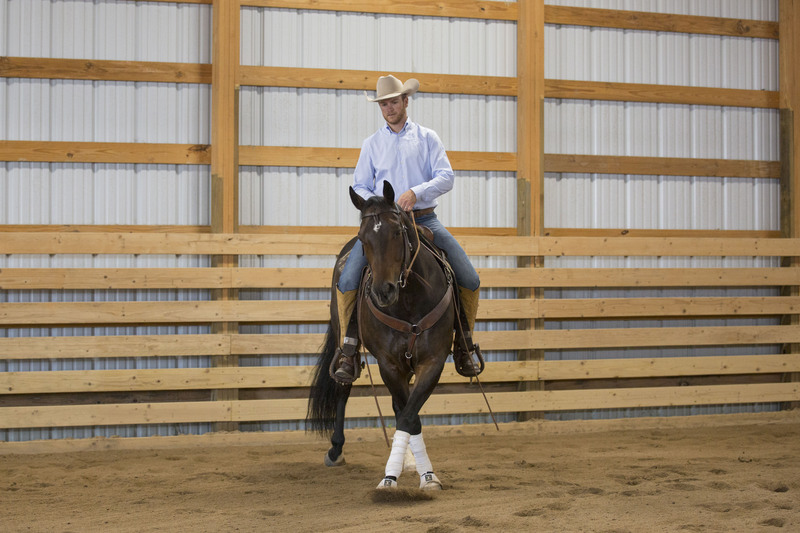 In order to assess your riding level, Cody Harrison likes to have new students start out in private lessons before advancing to a group or semi-private lesson. View our photo gallery to see us in action! Please check availability before making payment online. We do not offer school horses. At CH Equine, it is of the utmost importance that your horse is sound, happy, and fit. 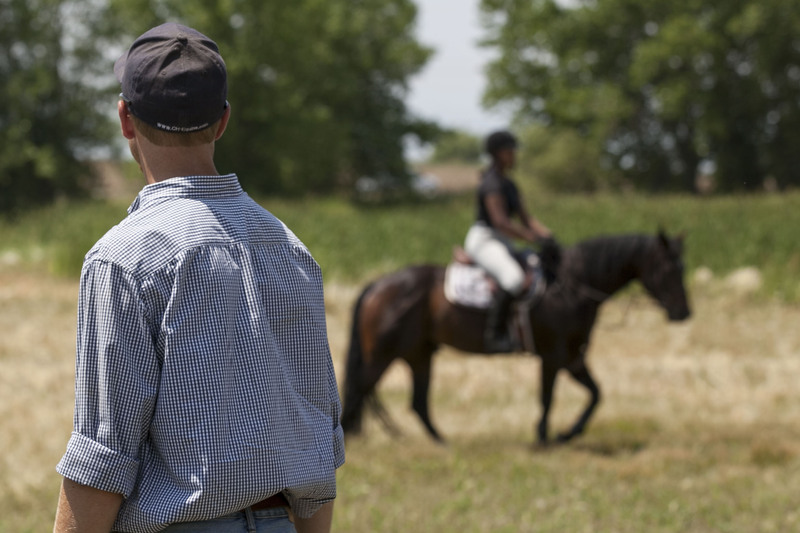 Whether your horse needs his first ride, re-training, or continued education, we are here to help. 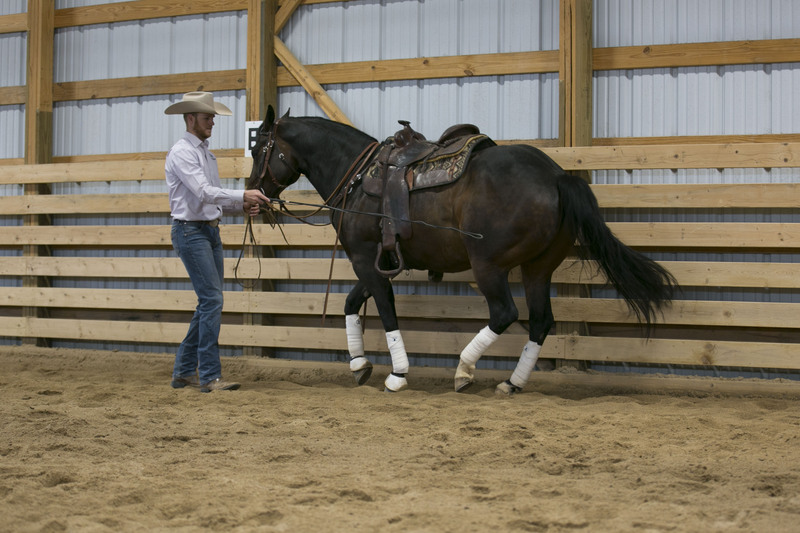 Cody Harrison uses systematic training that will physically develop your horse and allow him to mentally understand what is being asked of him. Every horse that comes to CH Equine has his own personalized training program. 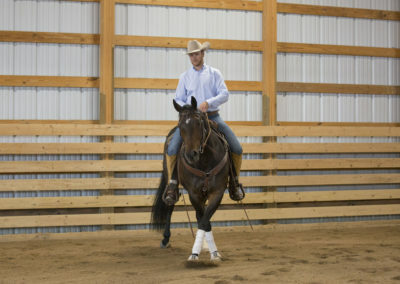 This consists of a combination of Lunging, Work-In-Hand (groundwork) and Riding. The basics are covered thoroughly, which makes advancing to higher levels much easier. It is important that a horse not only does the maneuvers you ask of him, but also does so in a calm, relaxed manner. To achieve this, you must take your time teaching the horse so that he understands what is being asked of him, not just reacting to you. CH Equine will work on developing your horses trust. After this is accomplished, we can now be the leader your horse is looking for. 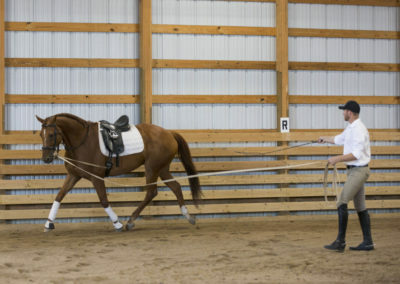 The first thing we will teach your horse is consistency at all the gaits. 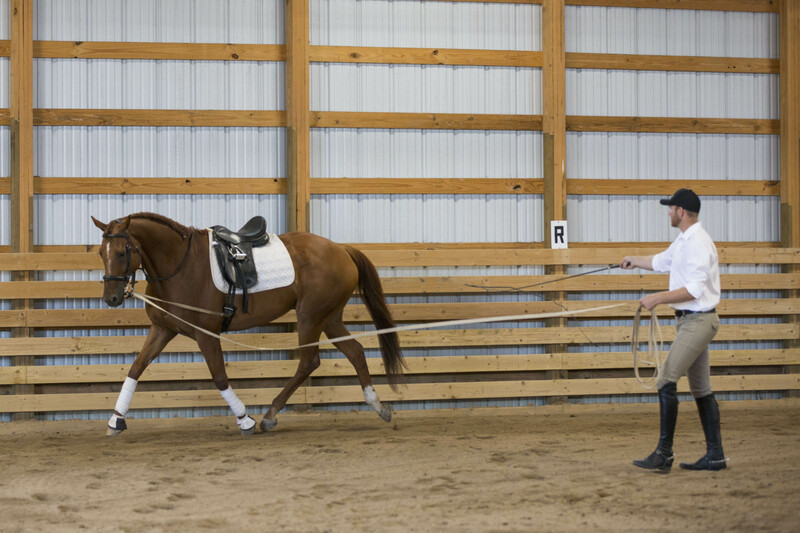 After that is accomplished, we then work on lateral movements and add more collection and speed, but never exceeding what the horse understands or is capable of performing. Our goal is for your horse to be calmer, more consistent, more knowledgeable and be in better physical shape than when you brought him to our facility for training. We care about your horse and his well-being. Owner’s are welcome to come visit their horse whenever they like. Just be sure to schedule an appointment if you would like to watch your horse being worked. Horses in training, must come to our CH Equine Training Facility which is located at 6505 East 160th Avenue, Brighton, CO 80602. A minimum of 5 training sessions per week, monthly board which includes quality hay & grain. We require 3 months minimum training for new horses. Your horse must also be in good health. Overweight horses will not be accepted for training.